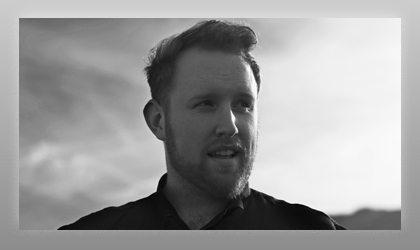 A&R Worldwide was introduced to the ultra-talented Gavin James in late 2011 by his Dublin, Ireland-based manager Edison Waters. With key early support from A&R Worldwide back in 2012, Dublin-based singer-songwriter Gavin James experienced significant success at radio both in the U.S. and internationally as well as leaving a mark on the music industry at large with a showcase at MUSEXPO 2012 in Los Angeles. The early buzz generated through A&R Worldwide's efforts ultimately led to a global publishing deal with highly respected A&R executive and former Warner Music Group U.K. Chairman Christian Tattersfield with Good Soldier Songs who has signed artists such as David Gray, Damien Rice, Birdy and other greats. Gavin's rise and development in his home market has earned him an Irish Choice Music Prize for "Song Of The Year" in 2014 and gained him sell-out headline dates across Ireland and support tours with acts such as Marina & the Diamonds, Ingrid Michaelson, Kodaline, Lianne La Havas and with James Blunt on his sold-out stadium tour across Europe.